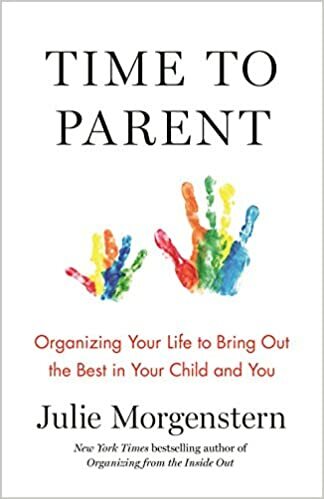 TIME TO PARENT lays out the first-ever job description for parents by defining the role and providing a framework for success, Julie eliminates the uncertainty and ambiguity that leads most parents to feel the job never gets done despite working at it non-stop. Introducing the catchy acronyms at the heart of her parenting job description-- empowering parents to do their P.A.R.T. while also taking care of the S.E.L.F. Immediately actionable tips for helping parents toggle between the eight different aspects of the job of parenting--just as Mr. Rogers represented when he put on his sneakers and zipped up his cardigan at the start of each episode! Addressing the role technology plays in stymying parents’ best efforts to relate to their kids. Cassandra's Review- A enjoyed all of the great information and helpful tips included in this guide. I feel like the author selected some really good points and they can be expanded in discussions after reading the book as well. The split sections make it easier to follow and find what you want to browse should you not have time to read the who thing.